From subtle changes to major repairs, there are many dental procedures we offer that can improve your smile. You may have teeth that are discolored, chipped, rotated, or even missing, but that doesn’t mean we can’t help perfect your teeth. We are able to change the shape of your teeth, close spaces, and alter the length of your teeth. We also provide professional teeth whitening options. Please keep in mind that with cosmetic dentistry, we must make sure that you are in good oral health and are also enrolled in a regular preventive maintenance program for best long-term results. Have a look below at what our dentists can offer you to restore your smile. This is a very common and easy procedure to address stained teeth, or for those who want a brighter smile for that special occasion. 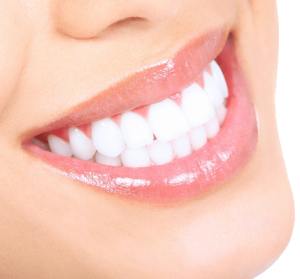 We are able to offer patients a take-home professional teeth whitening solution. This is perfect for those who are looking for a convenient and ready-to-go option. We will provide you with comfortable trays that adapt to your individual smile. We use a tooth-colored composite resin material (“white filling”) in order to fill in gaps or change the color of teeth. We can also use it on broken teeth to restore them to their original size. This can be a very conservative procedure that has dramatic results in just one visit. We also use the same material for routine restorations (“white fillings”) as we do not provide amalgam restorations (“silver fillings”) at our office. Sometimes the extent of staining or the size of the fracture of the tooth requires customized cosmetic dentistry. Porcelain restorations such as crowns and veneers are used to cover the tooth in order to mask any discolorations or to change its size and shape. We will work with a dental laboratory and a ceramist to obtain the best aesthetic result. These restorations are usually completed in pairs in order to give the most natural look possible. If your cosmetic concern involves missing teeth, please head over to our implant/tooth replacement section for detailed options.